I'm certain that you've seen this trend all over your social media channels lately. It seems like all the brands and bloggers are covering themselves in stylish sleeves. Frills, ruffles, bells, cut-outs -- you name it! I, too, have partaken in the trend with these big bow sleeves, and these frilling sleeves, and, of course, a pair of bell sleeves. 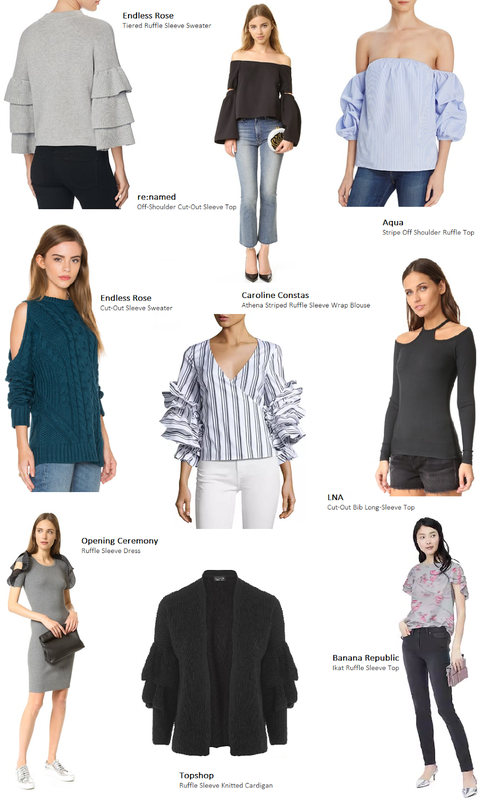 So I thought I'd share with you a few of my picks for both winter and transitioning to spring weather that are all about the art of the sleeve! Which one of these is your favorite? Sound off in the comments below! I like the cold shoulder and sheer sleeves the most. Wow there are so many beautiful options! I can't decide which ones I like the best! As much as the cold shoulder works nicely for our summer, the task of finding a good strapless bra and then having to tug on the shoulders to stay in place are the downers... 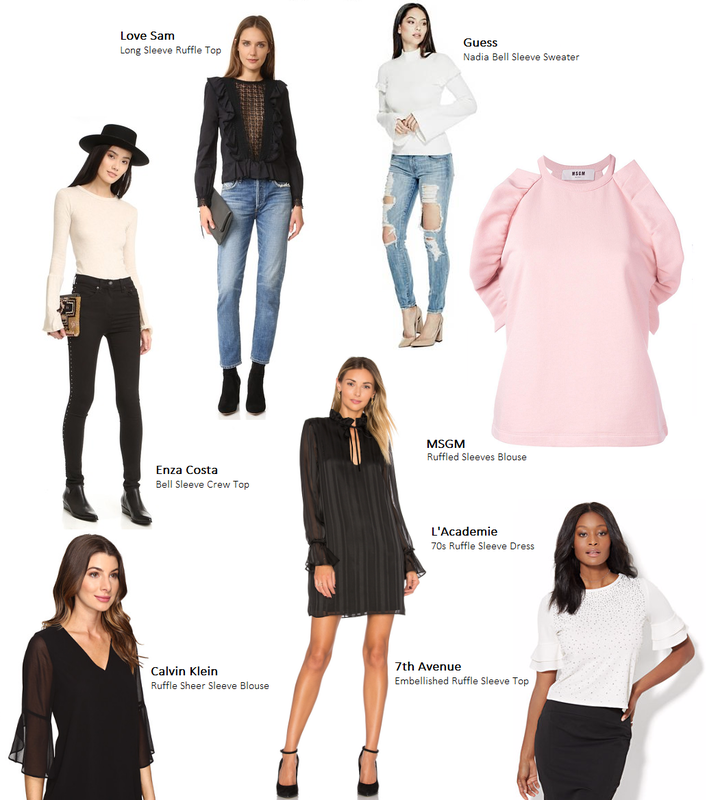 SO my fave would be the ruffle sleeve sweater! I don't mind statement sleeves as long as they are not too dramatic. That first grey tiered sleeve top is really cute including the black Topshop ruffle sleeve Cardigan. So much to choose from and I love all the cold shoulder styles. Thanks! I really love seeing all these fun sleeve options and I think a shopping trip may be in order soon. I was OBSESSED with off the shoulder shirts about 3 years ago and could never find a cute top, and now they're everywhere! I love a good sleeve detail! It can take something boring like a sweater and make it a work of art! A playful sleeve treatment detail sounds great to me! These are such lovely alternatives, especially the styles with bits of volume. wow I love the first sweater! Loving all these cool sleeves! I have a ruffle sleeve sweater on it's way to me right now! Thanks so much for linking up with Fun Fashion Friday! What day is your link up so I can add it to my list and remember to link up? That top sounds great. My linkup is on Mondays!